Closed permanently. Poblano Mexican restaurant in Charleston, Tennessee yet? It's right on Hwy. 11. If you're coming from Riceville, the restaurant is on the left about two blocks from Charleston Treasures. Coming from Cleveland, Poblano is just under a mile from Tarver Distributing. My husband and I went there for the second time. It was a pretty good experience. 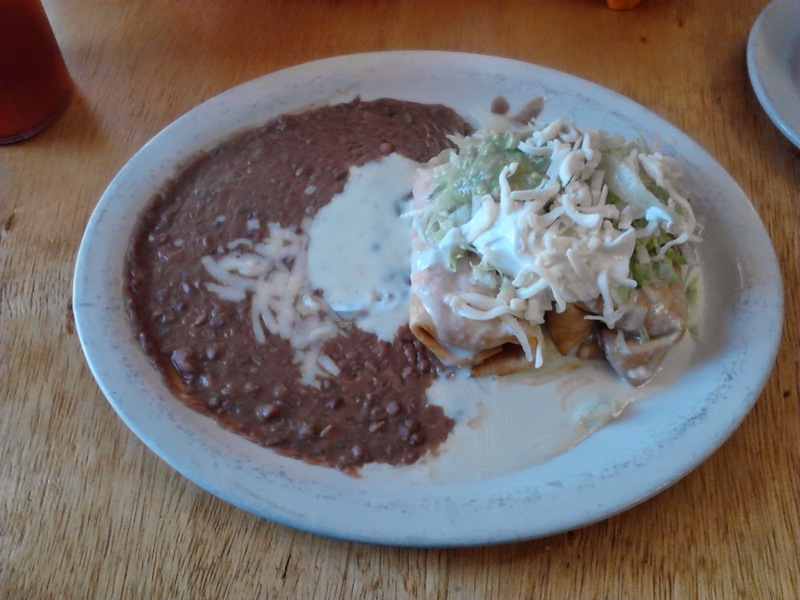 Here's a shot of the delicious chimichangas that I had previously. Arriving between lunch rush and dinnertime almost guarantees that any restaurant won't be crowded. We were right. Poblano wasn't busy while we were there. The downside is that service can be slow in the afternoon. Food will often be cooked individually instead of in batches. You can tell by the flavor. At Poblano, the food was piping hot when it hit our table. The appearance and aroma made us want to dig in immediately. I like the salsa at the Poblano mexican restaurant in Charleston. It has the right mix of tomatoes and cilantro. There were some onion pieces. You could taste some lime. The salsa was a medium heat but not overpowering. Hubby ordered the Special Taco Salad. At $6.99, the flour shell had ground beef, chicken, refried beans, shredded lettuce, diced tomatoes, sour cream and guacamole. The shell was crispy but not overdone. Cheese dip was listed on the menu but it wasn't served as a dip. Instead, the Poblano in Charleston, Tennessee, drizzles cheese dip over nachos and serves them alongside the taco salad. It was different than expected but Hubby declared it good. So, there you go. My taco salad was also in a flour shell. It was a twin to the one on my husband's plate. Both were the size that you'd expect to get at a Mexican restaurant. Neither big nor small, they were just the right size. At $6.25, the ingredients included a layer of beef, beans, lettuce, shredded cheese, sour cream, guacamole and tomatoes. Nachos are not included with the regular taco salad. The food was very good. My only hesitation is that the beef mixture soaked through the bottom of the flour shell. The taco salad at Poblano was good despite the sogginess. Our service was a little slow but not unbearably so. I would eat there again despite the challenges. The ticket price was just under $17 with tax, plus tip. 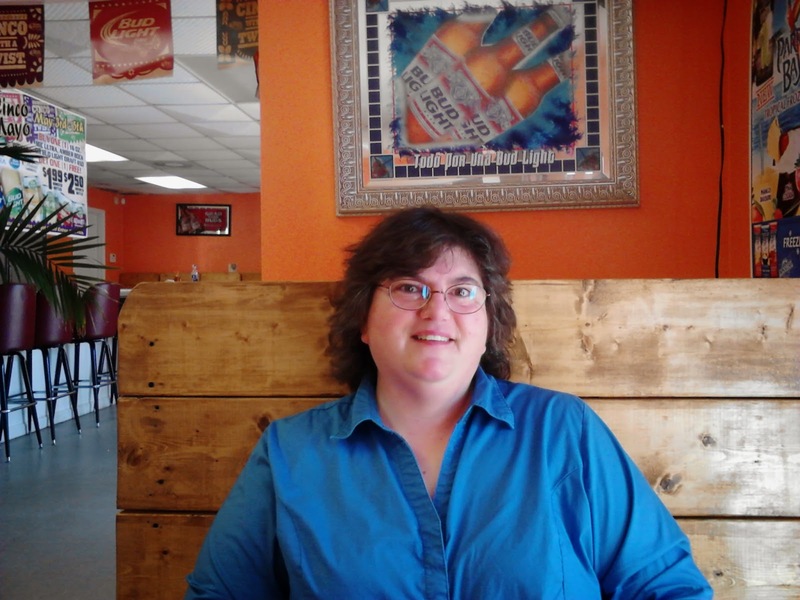 It's about in line with Mexican restaurants in Etowah and Cleveland, Tennessee. Our experience at Poblano was positive overall. Good food, okay service and a reasonable price is a winning combination in my book.